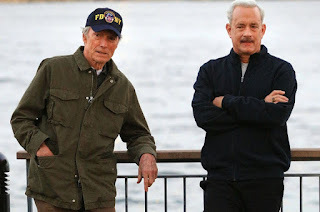 Eastwood and Hanks Soar in the Captivating And Heartfelt "Sully"
The trouble with being a prolific director is that no matter how accomplished you are, no matter how many classic you've delivered, in the eyes of both critics and audiences you are often only as good as your last picture. Clint Eastwood has been around for so long, and given us so many films, that his only peer in terms of the number of classics vs. the number of forgettable failures he's given us is probably Woody Allen. Unforgiven, Million Dollar Baby, Mystic River, Pale Rider, Bird, The Outlaw Joe Wales and others have come close to perfection, while others ranging from The Eiger Sanction to J. Edgar have left us scratching our heads. And often opinion is divided; we loved Invictus, even if it failed to find an audience, but as much as we tried, we just didn't love American Sniper, a movie which hit a bullseye with audiences but left critics debating whether it was a hit or a miss. And unfortunately, the aging director has developed an unfortunate habit of "Grandpa Simpson" storytellling in the final third of his films, becoming introspective to the point of veering off topic and leaving you to wonder where this is going and if it is ever going to end (Hereafter and J. Edgar are strong examples of films that had truly terrific moments but got hopelessly lost.). But if ever there was a movie where Eastwood was able to steer clear of every single one of his pitfalls, it would be Sully. Eastwood delivers his finest achievement in quite some time, and it should be no surprise that he does so with one of Hollywood's favorite good luck charms, Tom Hanks. Sully chronicles the true story of the "Miracle on the Hudson", where Captain Chesley "Sully" Sullenberger saved the lives of 155 passengers and crew members (himself included) of US Ariways Flight 1549, which lost both engines after take off when they were unexpectedly struck by a large flock of geese. Sully was left with no choice but to make an emergency water landing on the Hudson. Sully was an instant hero and star, cast onto the worldwide stage before he even hand a chance to change clothes. But while he managed to save everyone on board, the aircraft sustained severe damage, and questions quickly arose as to whether the Captain really had no other options, or if he may have made a reckless call that endangered lives. 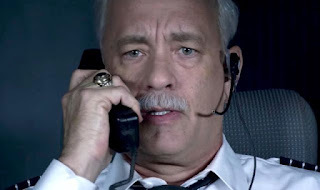 The movie is structured in a very deliberate but non linear fashion, following the very brief but significant incident from more than one point of view, but doing so without ever losing sight of who the story's protagonist is, and staying firmly inside his head (to the extent that we see some terrifying glimpses of Sully's worst case scenario "what if?" versions of the landing.). But while it's certainly true that screenwriter Todd Komarnicki and director Eastwood are stretching this to feature length (at 89 minutes, it's easily Eastwood's shortest film in decades) they do so without ever making it feel padded out. The story of the FAA investigation, and Sully's fears about the outcome, is as captivating as the moments in the air, and the creative team makes one of their shrewdest choices by letting us get to know the passengers just enough to see them as living, breathing human beings, but not stooping to Irwin Allen style soap opera subplots that would sidetrack the story. They also stay wisely aware that as a story of a near disastrous air plane crash over New York City, the movie has ghosts of 9/11 hanging over it from the first frame, but are smart enough (and respectful enough) to be confident that the audience doesn't need this hammered home, and let you just feel it for yourself, with only one poignant indirect reference to that tragedy. Hanks is a true treasure, not just one of the best actors working today but one of the best leading men in Hollywood history. His ability to show subtle, honest emotion and stay in the moment never fails to amaze us, and the scene in which Sully is told that everyone aboard survived is so genuine and real, minus any flourish, that we both shed a tear and probably would have hugged if the arm rest hadn't been there. It seems as though he is going to have to metaphorically reinvent the wheel to get that third Oscar, but his self assured, unwavering commitment to trusting the wheel he has is exactly why he's the best. Eckhardt is also given some terrific moments, hitting the last line of the movie out of the park and given his most engaging performance since The Dark Knight. Laura Kinneyl and Sully's wife, gives what can be best described as a "Laura Linney performance", and the supporting players, from Mike O'Mallet as the head of the investigative comittee to Sam Huntington, Autumn Reese and Valerie Mahaffey as passengers, all lend low key but heartfelt support. Sully is the first feature film to be shot almost entirely with IMAX cameras, and cinematographer Tom Stern makes expert use of them. There is no question that the film is best experienced in the larger that medium, and the visual effects are nearly seamless. But the greatness of the film comes in the merging of larger than life elements with simple, everyday reality, and heroism with humanity.